Like everybody else we’re obsessed with subscription boxes at the minute. The postman has become the most popular person in our world and this week he went and brought the cutest darn box yet. 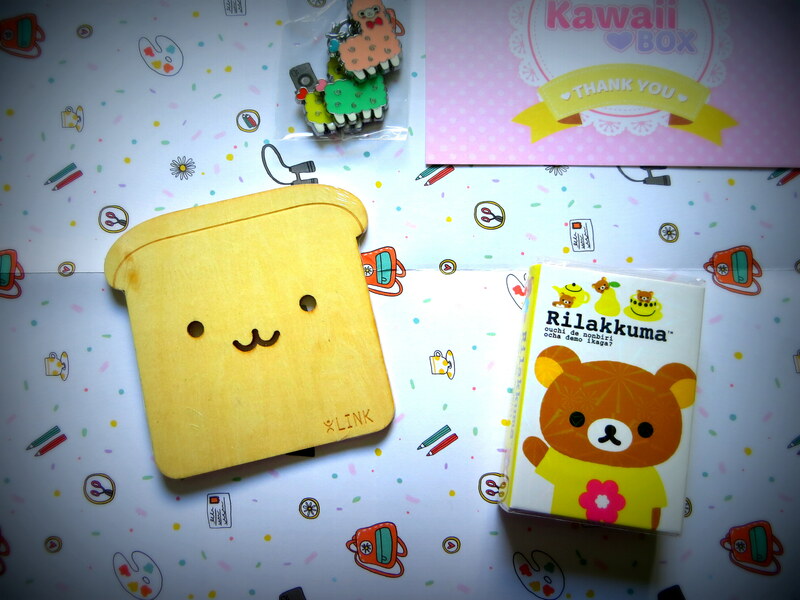 Kawaii Box is a selection of super cute hand-picked items from Japan and Korea. 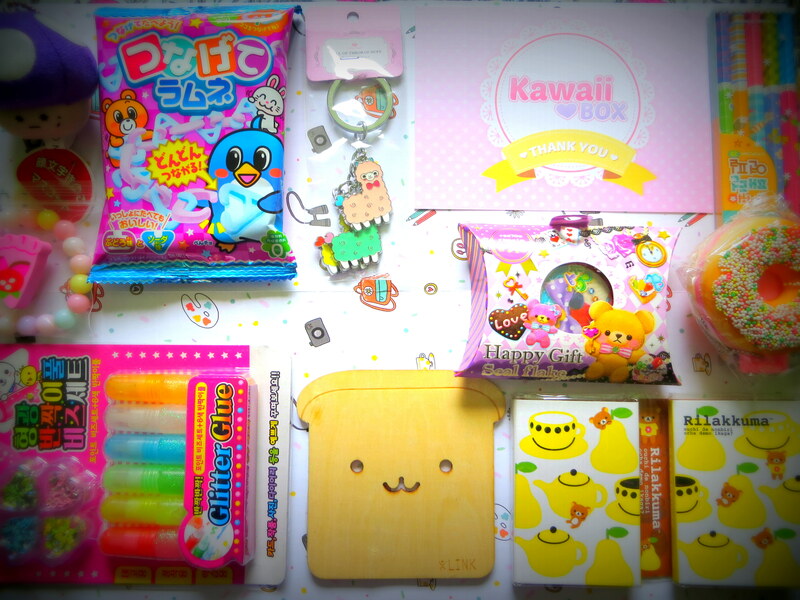 Some stationery, some accessories, some sweets, lots of cute. Now I lived in Tokyo for nearly 10 years so my cute threshold is quite high but opening the kawaii box was a trip down memory lane. 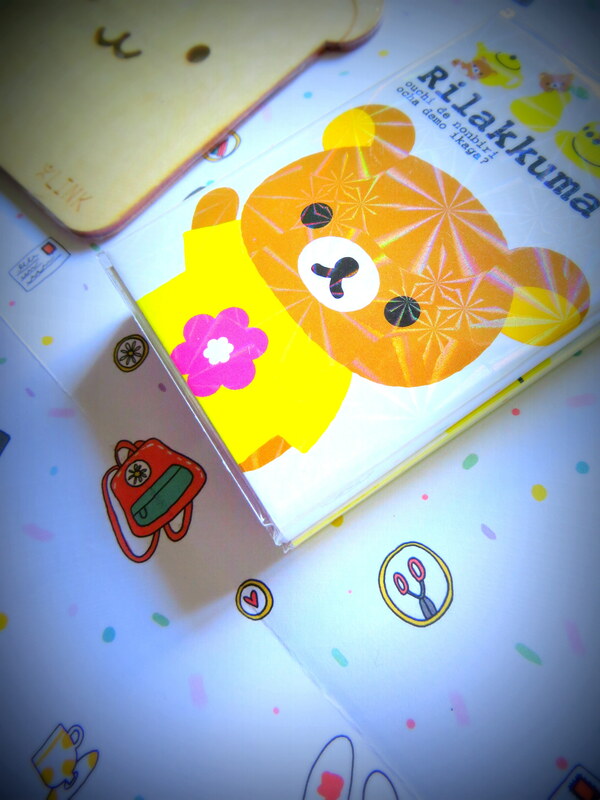 Item after item of familiar characters (Rilakkuma) and happy faces. Some have already been earmarked for the dotes as Back to School treats but some are definitely staying with me. Best yet, we’re signed up for another two months. Yatta! The only drawback I can see is the wait. From shipping notification to arrival it took just over two weeks in our case. ⇒All the way from Singapore. In terms of value, 3 months cost about £35, with free delivery. Well worth it we say. 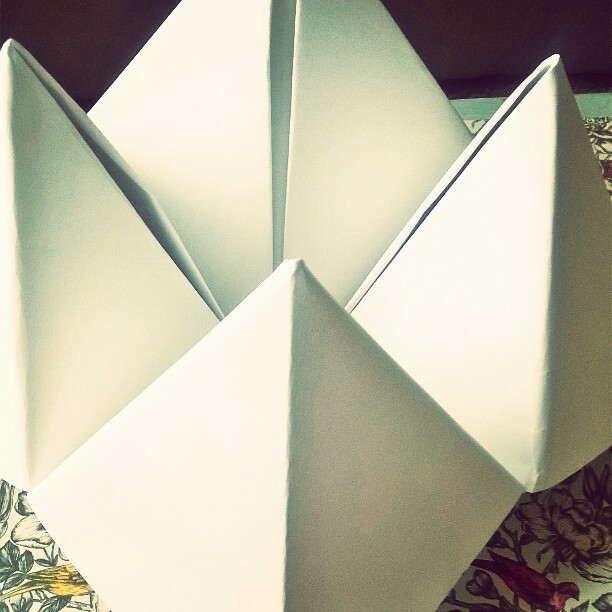 Some people call them Cootie Catchers – we’ve always called them fortune tellers. In either case they’ve had a mini-revival in our house this summer. It started out as a study tool but has turned into a much-loved game for both Lil D and Lil GN. So much so that a giant fortune teller was commissioned (and constructed). Multiple operators required! 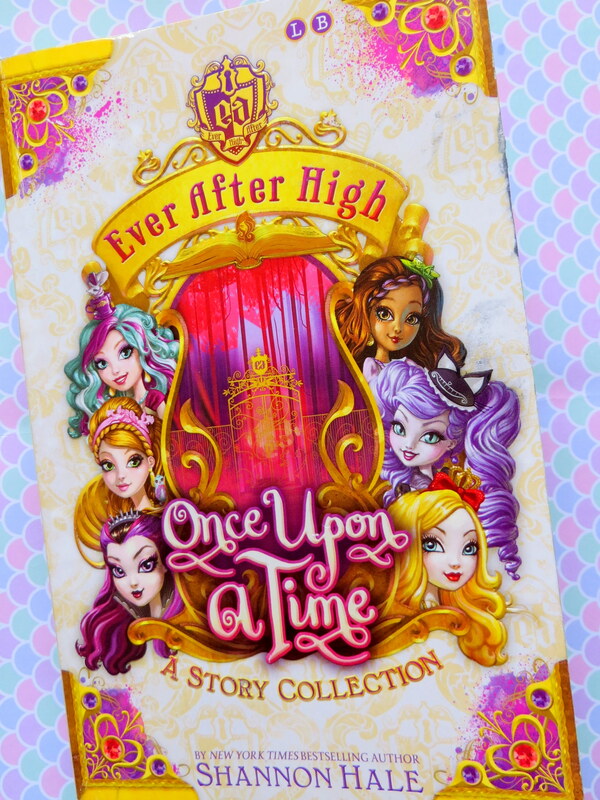 This is a collection of short stories introducing the characters of Ever After High. Some are simply the first chapter in the already published books in the series, and some are brand new. Having never read the books these short introductions have really piqued my interest in the full length stories. Ever After High is a boarding school for the children of fairy tale characters. These kids are not only expected to follow in the footsteps of their famed parent, they have to agree to take their parent’s exact spot in the fairy tale. Harsh for the likes of Ashlynn Ella, who in order to take her mother’ s place in the story, will have to lose Cinderella, gain a Wicked Stepmother and some Ugly Sisters. And difficult for Dexter Charming, who is set to inherit one of many roles given to Prince Charming, despite not really being all that heroic or Charming, unlike his impressively large family. The humour and the twists on both fairy tales and modern-day life (MirrorPad remind you of anything) make these really enjoyable little adventures. Clearly, the story doesn’t end for the characters on the last page, and you are being encouraged to read the full books, but they have enough in them to spark a fairytale friendly imagination. Bake Off is back. Yay says 8.9 million people. Time to get inspired! Except it started with madeira cake and biscuits… Don’t they know that I’m watching so I can learn how to make something new?! 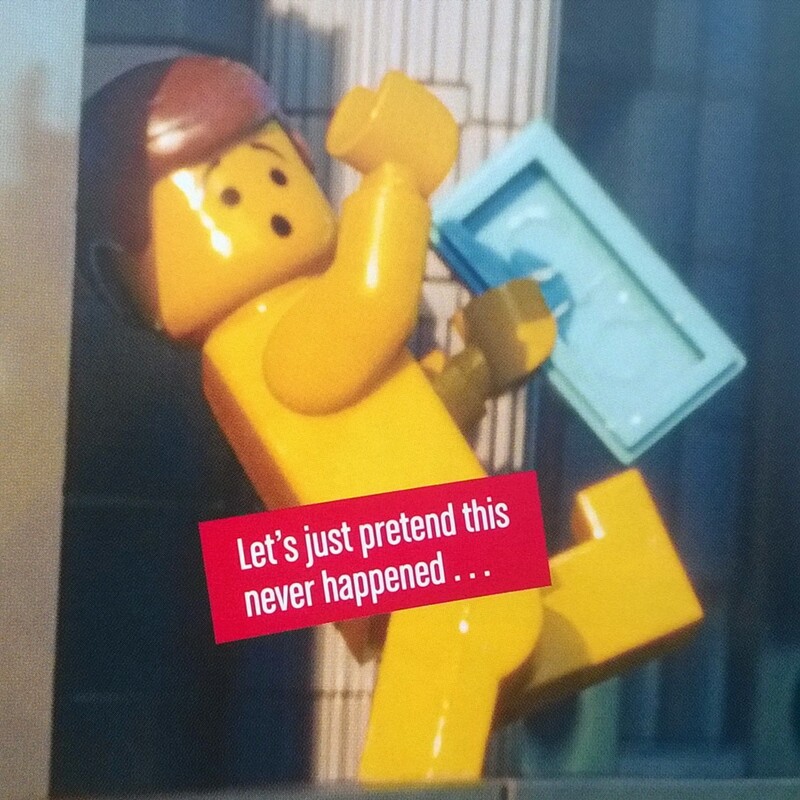 Bah. Ah well, in that case, I’ll finally get round to trying some doughnuts. For the last year or so, I have been saying how much I want to try doughnuts, but for reasons unknown, I just haven’t tried. (Really it maybe a fear of deep frying, and discovering that home made doughnuts are amazing, so will have to be made every week). 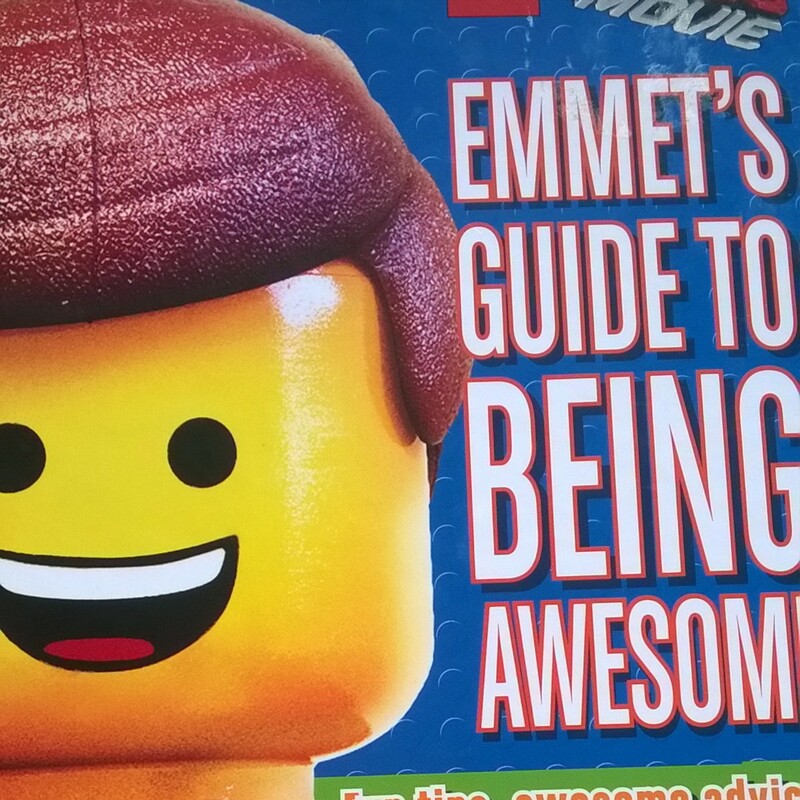 Then this week, Bear bought me a gift. A doughnut tin. A not so subtle hint that it was time to get going on the doughnut plan. 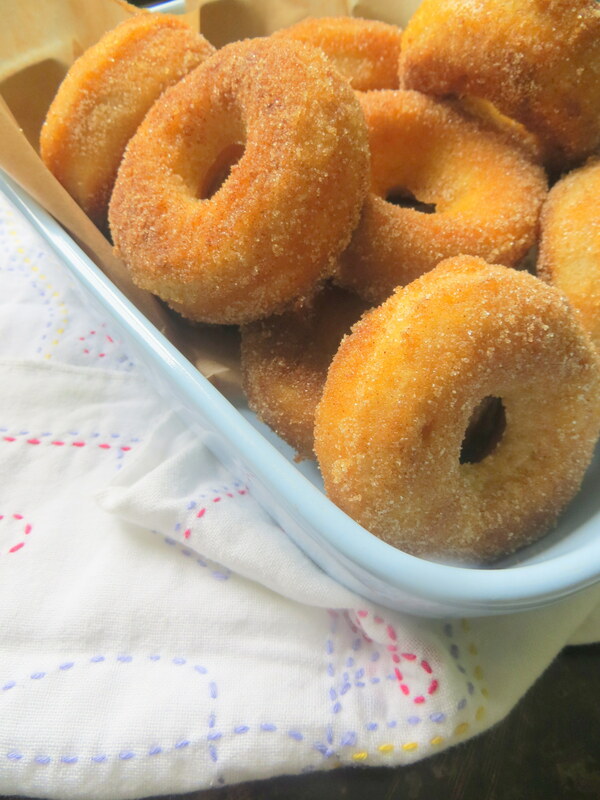 A search for a baked doughnut recipe came up with this from Ina Garten, the Barefoot Contessa. Having watched many an episode on Food Network, I trusted Ina to know how to make a classic doughnut, and I was right! She may not have the most lively style, but ask her for an American (or French) classic and she knows what she’s talking about. The result were these mini doughnuts, drowned in sugar and cinnamon, delicious straight from the oven, and even successful with work colleagues the day after. Disclaimer: they are super sugary and tests show that eating 3 in a row may produce queasy side effects! What’s more the easy batter and bake method is so satisfying that I doubt I’ll ever try all that messy deep frying. I will however, be experimenting with the range of flavours and glazes I can create for these mini morsels. Yum. Tea and cake. Such a lovely way to spend the afternoon. To celebrate the 1st anniversary of their Conservatory, the Galgorm Resort and Spa added Alice to their afternoon tea menu. For one week only. Irresistible to a life long Alice fan like Lil GN &C’s Mommy. We squealed with excitement as we entered the conservatory. Met by an impressive Mad Hatters cake by Madame Cocoa our expectations for the day were met and then some. The attention to detail thrilled us. Hats and playing cards decorated the room. Drink me bottles of pink lemonade were poured as we sat down at the best table in the house. Even our napkin ring held a curious riddle. Happily we perused the menu. Caterpillar soup, chess board sandwiches, rosewater scones, the white rabbit carrot cake. Oh so many wonders. Colourful and playfully named. Someone in the kitchen had a lot of fun with this.